Negligent operation of a motor vehicle is different than operating under the influence. However, it is common for a defendant to be charged with both offenses. 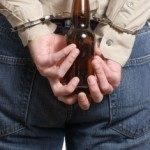 Negligent operations charges are addressed the same time as the OUI charges. Anyone that is classified as a habitual traffic offender by the registry of motor vehicles will have their license suspended for four years. Here’s what you need to know about major and minor offenses, and losing your license. It is a crime to knowingly collide with another car or another’s personal property and then leave the scene without giving your name, residence and motor vehicle number. You must stop and provide this information even if you did not cause the accident and failure to do so will result in serious penalties. It is not enough just to stop and check on the other parties involved in the accident. The driver must stop even if he believes his identity is known. Every license revocation and suspension is different from any other and each case has its own set of unique circumstances. If your license has been suspended or revoked because of too many moving vehicle citations you should call an experienced drivers license suspension attorney. Our lawyers are available to meet and speak with you 7 days a week. Give us a call today to schedule a free consultation. It is a crime to knowingly collide with another car or a person causing personal injury or death and then leave the scene without giving your name, residence and motor vehicle number. You must stop and provide this information even if you did not cause the accident and failure to do so will result in serious penalties. It is not enough to just stop and check on the other parties involved in the accident. Also, the driver must stop even if he believes his identity is known. Operating a motor vehicle on a suspended or revoke license is a common offense and the penalties are rather broad consisting of fines, license limitations. Penalties imposed by the Massachusetts Registry in the wake of a conviction are often times more sever than those imposed by the criminal court. Operating a motor vehicle after a license has been suspended or revoked because of an OUI/DUI conviction or a failed breath test (.08 or above for adults over age 21 or .02 or above for operators under age 21) carries serious penalties. After the alcohol-related suspension/revocation has expired the operator has to take steps to get his or her license reinstated. However, an operating on a suspended license charge that occurs after the time period imposed for an alcohol related suspension but before the driver has had his or her license reinstated will not result in a conviction for operating after a license suspension/revocation for an OUI/DUI conviction or related offense. In Massachusetts it is a crime to operate a motor vehicle recklessly or negligently so that the lives or safety of the public might be endangered. Massachusetts General Laws chapter 90 section 24 (2) (a) distinguishes between two forms of operating to endanger: negligent operation and reckless operation. In order to get a conviction for driving to endanger the commonwealth doesn’t have to show that a specific person was endangered because of the defendant’s negligent or reckless operation. Instead all the prosecution has to show is that the defendant’s negligent or reckless operation could have endangered any member of the public that might have been on the street. Weather and road conditions, rate of speed, time of day and the way the driver was operating the vehicle are some factors that will be taken into consideration when determining driving to endanger. If you have been written a ticket for driving without a license you might think that the easiest way to handle the situation is to just admit to committing the violation and pay the small fine. However, admitting to a traffic violation like this can have an affect on your insurance premiums. It may also be one of the many small traffic violations that when added up can result in a suspension of a license.